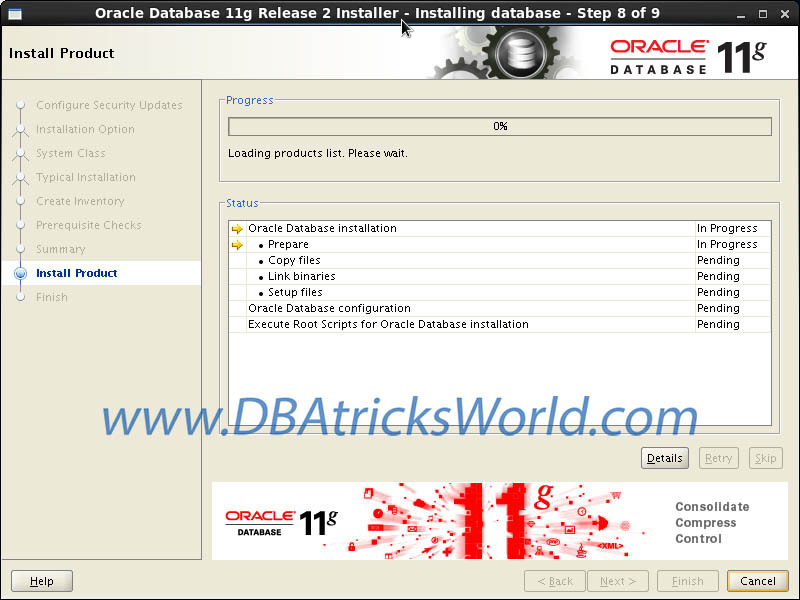 Kindly have a look on Pre-requisites before proceeding for oracle 11gR2 installation. Minimum 1 GB RAM, Recommended 2 GB or more than that. Note: If RAM of your system does not meet minimum requirement than increase it. SWAP partition need for oracle installation is only depend on RAM installed in your system, according to oracle docs. If your RAM between 1 GB to 2 GB than your swap partition size should be 1.5 times the size of the RAM. If your RAM between 2 GB to 16 GB than your swap partition size should be equal to the size of the RAM. If your RAM more than 16 GB than your swap partition size should be 16 GB. /tmp directory size would be at least 1 GB. 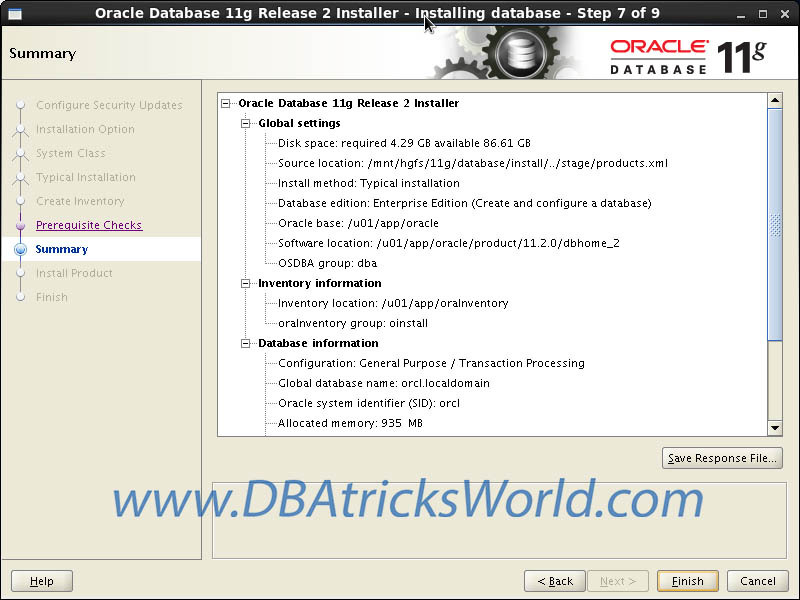 Minimum need of total disk space of the system would directly depend upon size of your database, Oracle installation files take maximum 4.5 GB to 4.7GB of disk space. In my case “c11g.localdomain” is fully qualified name with machine name. 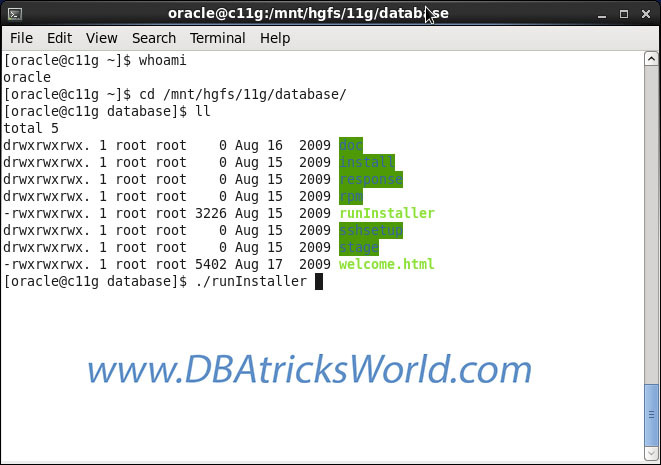 Oracle public yum repository are easily available, Here we use “oracle-rdbms-server-11gR2-preinstall” package to download latest Oracle Linux dependencies automatically. 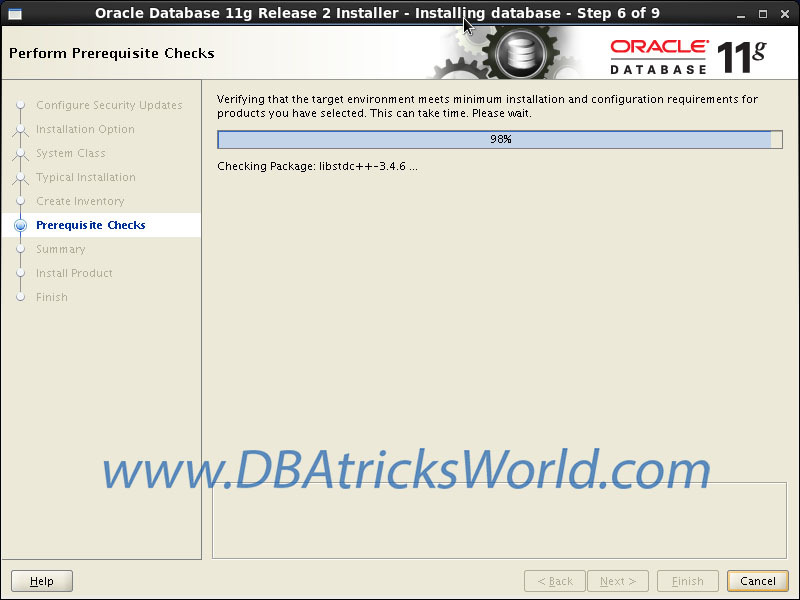 Install following package with YUM in order to complete oracle database installation pre-requisites automatically. Above package installation may failed with “GPG key retrieval failed“, for solution download and verify GPG key that complies CentOS 6.x with the help of following and continue. Add nproc parameter to the “/etc/security/limits.d/90-nproc.conf” file. Note: Reboot server after setting SELINUX disabled. 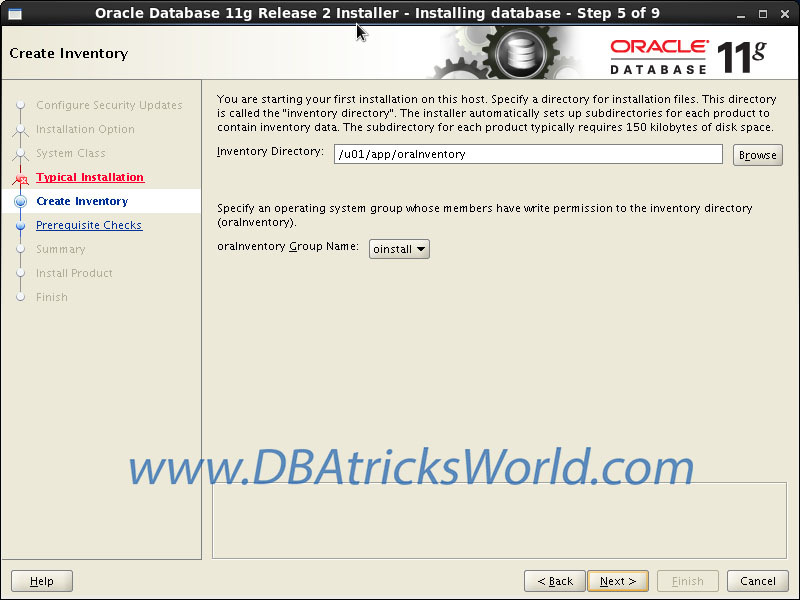 Create directory for oracle software and assigned proper permission in order to install oracle s/w smoothly. You can directly create and configure a database by selecting first radio button. 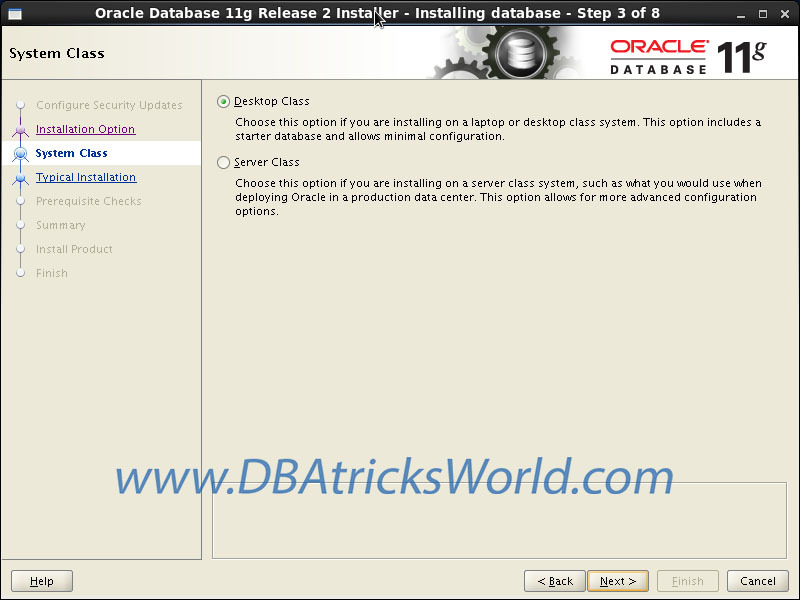 Other options are available to install oracle software only ( Not database ) and to upgrade existing database. Select “Desktop Class” if you are installing on desktop else select “Server Class” in case of Server installation. 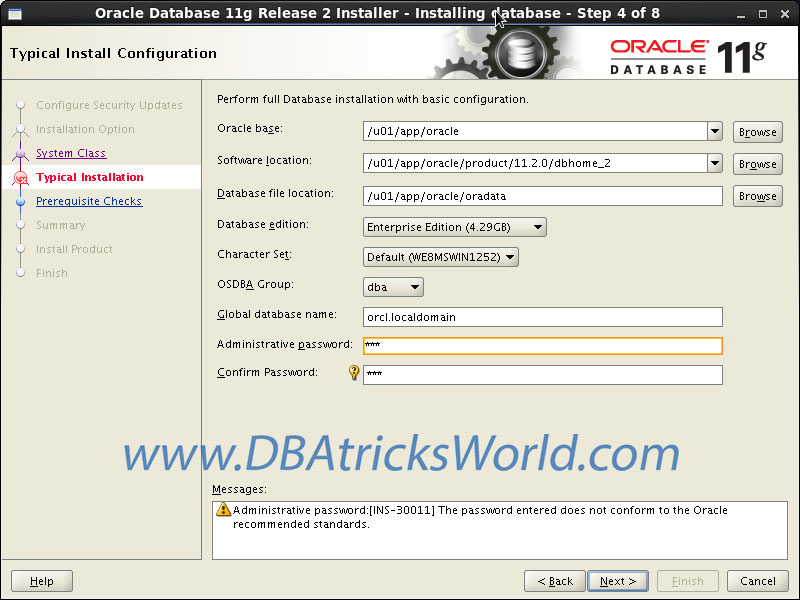 Ensure “Oracle base”, “Software location”, “Database file location”, “Database edition” and continue. 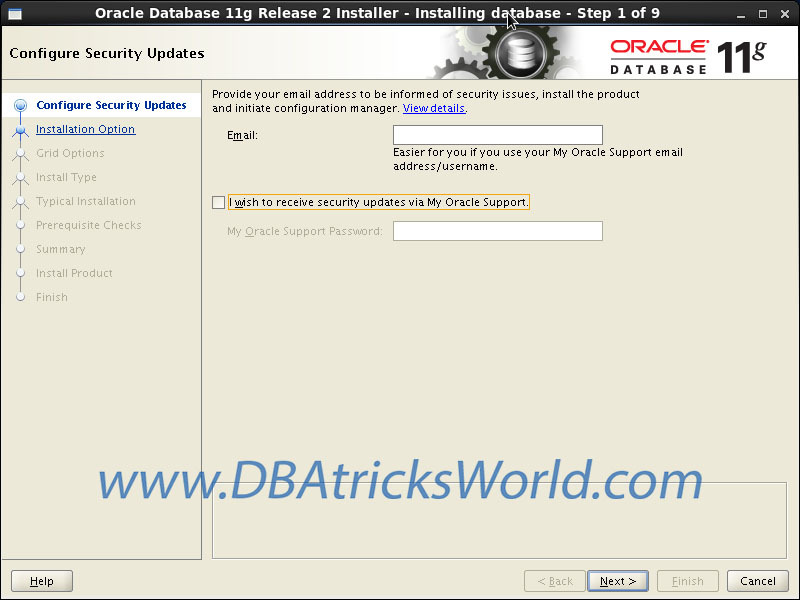 Provide administrative password according to oracle standards and continue. If your system already installed latest version of mentioned packages, then you can ignore and continue. In my case, latest version available. 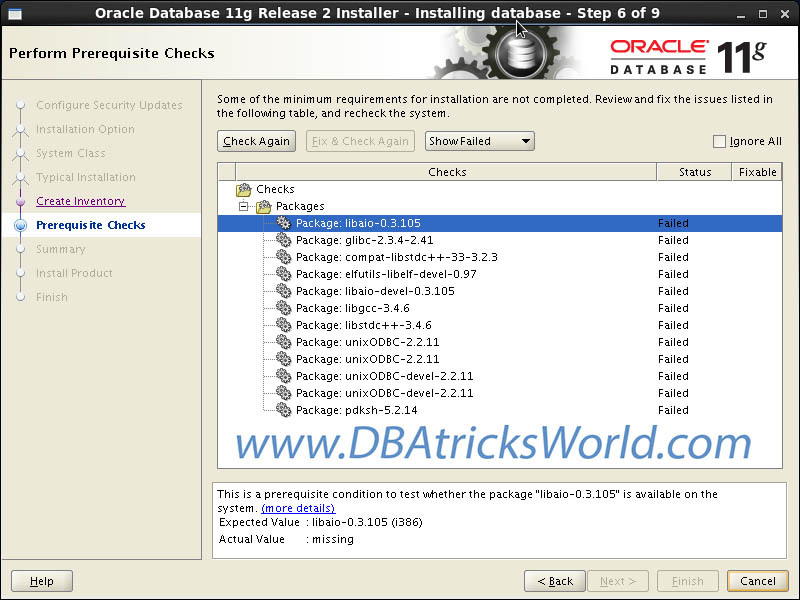 Installation of Oracle 11g Release-2 (11.2)(64-bit) on CentOS 6.x (64-bit) successfully completed. 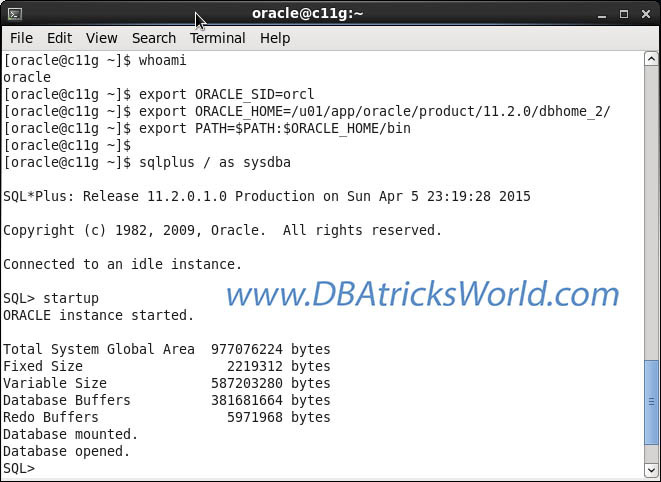 This entry was posted in Oracle 11g, Oracle Installation & Configuration and tagged Oracle 11g. Thank God! This really helped!